For modern guitarists who want heavy and aggressive tone with high-performance features, the Standard Stratocaster HSS Floyd Rose is armed with a Floyd Rose locking tremolo bridge and a powerful Blacktop open-coil humbucking bridge pickup with a chrome/black bobbin and a coil-splitting push/pull switch built into the second tone knob that leaves the outside coil active. Sleek and supercharged, its built to match the intensity of any playing style with versatile high-performance with a full-throated voice. For this Standard Stratocaster HSS solidbody electric guitar, Fender changed out one of its typical Stratocaster single-coil pickups for a Blacktop open-coil humbucker, giving you loads of tonal variations. You can coax anything from classic glassy-clean Fender tones to aggressive, throaty humbucker tones out of these flexible tone machines. If that wasn't enough, you also get a coil-splitting push-pull switch built into this guitar's tone knob, giving you even more tonal versatility. 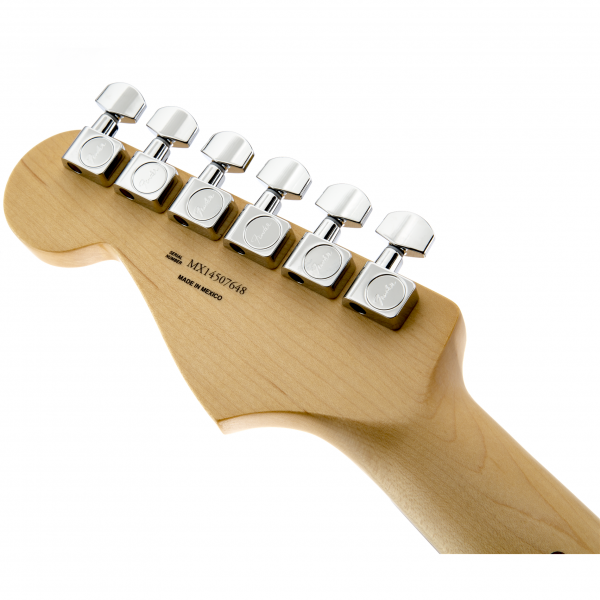 This Standard Stratocaster HSS was designed to be a flexible guitar that's ready for any situation. Leo Fender wasn't a guitar player. In fact, he got his start repairing radios. So he had no idea that guitars weren't supposed to have maple necks. 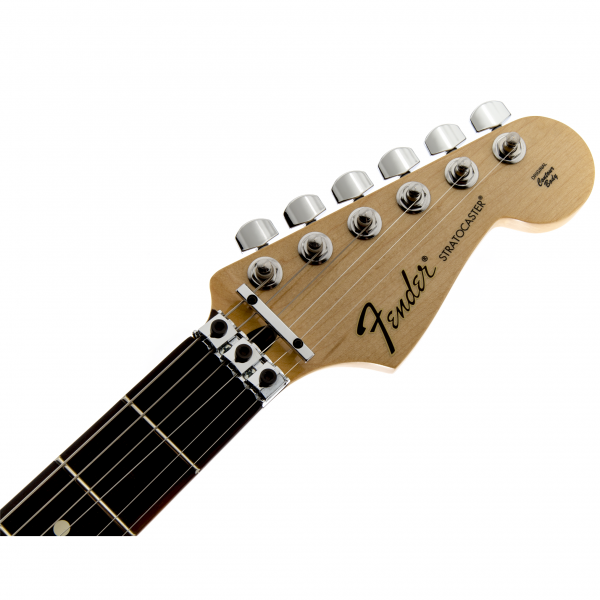 In time, those blonde maple necks and fingerboards became a Fender trademark, though the company eventually offered rosewood fingerboards on most of its models. 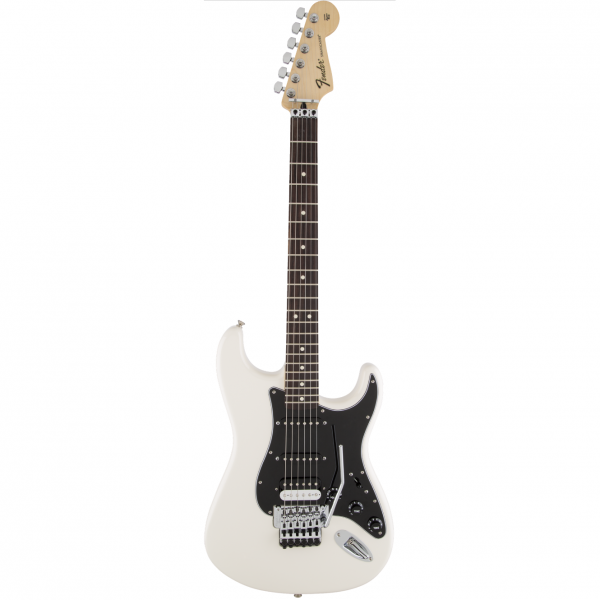 This Fender Standard Stratocaster HSS solidbody electric guitar has the maple neck, but it adds the rosewood fingerboard for a warmer, more traditional sound, look, and feel. In keeping with contemporary tastes, this Strat has a more modern C-shaped maple neck with a satin urethane finish.